The simpler I want things to look. We're in the middle of a home remodel. When finished, we should have a brand new kitchen with a new walk-in pantry, new master bedroom (taking our home from a 2 bedroom to a 3 bedroom) and new bathroom (our home has only 1 right now). It's very exciting! 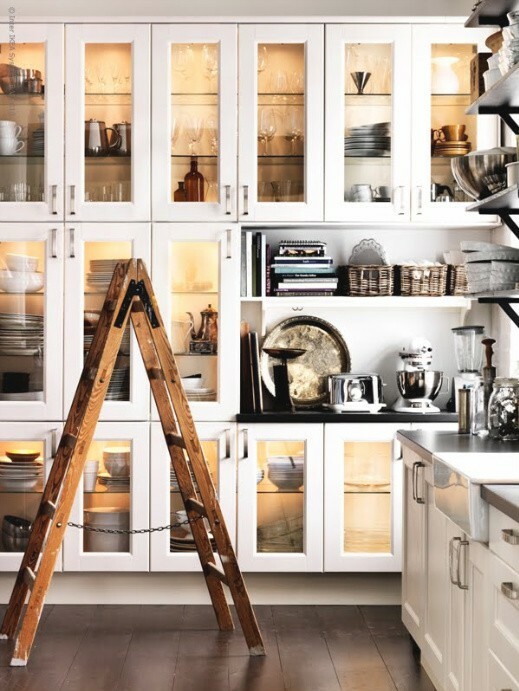 When we purchased our home in 2008, I hated, absolutely hated our kitchen and bathroom. We have a 1930s home with lots of charm - moldings, built-ins, etc. Not a cookie cutter at all. I love this about the house, but the outdated kitchen/bath are the only downsides. We decided when we purchased the home that we would remodel these the first chance we got. We live in the historic Fairmount Hills neighborhood in Salem, OR, which is so great, but I think our home is the last one to get remodeled! We scrimped and saved for over 3 years and now we're in the middle of it. Matt completely gutted the kitchen and has put in new floor boards and dry wall. We're getting there! Here are some pinterest finds that I found very inspiring. I think less is definitely more. As I get older, I find that I want less fussy designs. As clean and simple as possible while still feeling cozy and like a home. 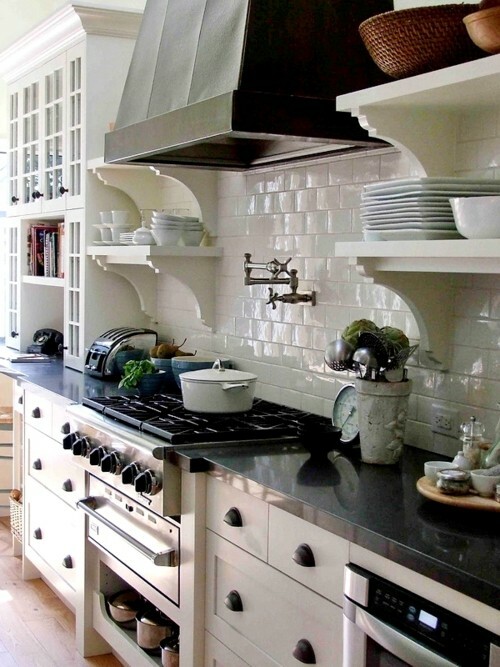 Love the white tile back splash and dark counter tops. 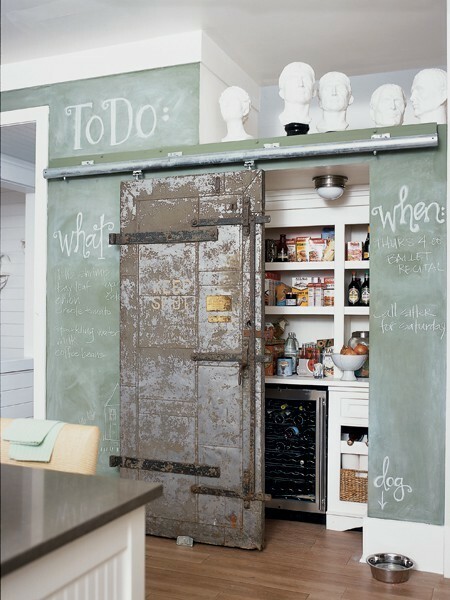 Really like this concept for the pantry door. 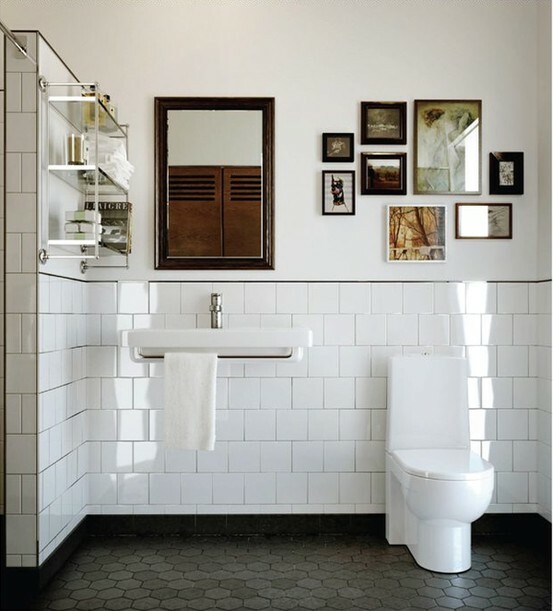 Love this simple bathroom with wall mounted sink, white tiles, clean lined toilet. 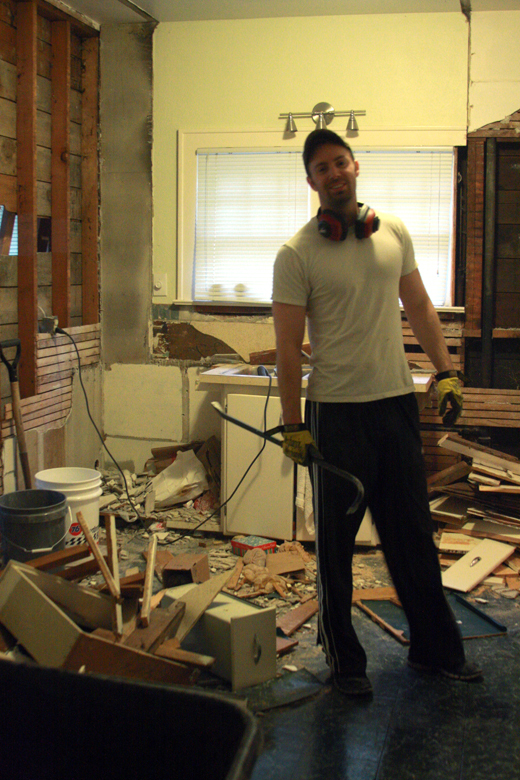 The hubby demolishing our kitchen. I think if I could make our entire house white, black and shades of grey, I'd be super happy. :) Maybe not with our current house, but someday, when we're out in the country on a farm. For now, making our current home more "us" is a good goal. I'll post more photos later!